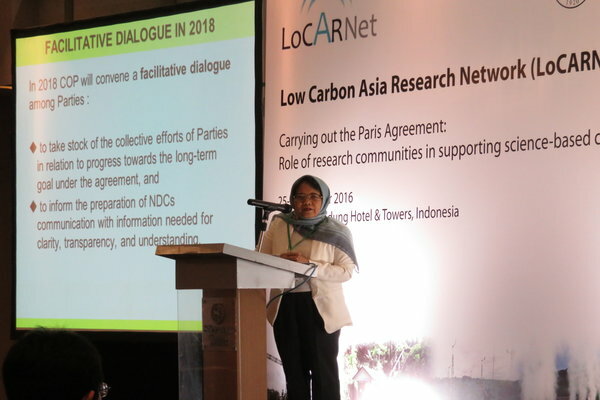 5th LoCARNet Annual Meeting was held in Bandung, Indonesia co-organised by ITB, IPB, NIES, MOEJ, MOFA and IGES on 25th – 26th October 2016. Discussions highlighted emerging issues on low carbon development, innovative monitoring system, land use, adaptation, formulation and implementation of NDCs and capacity building method. About 84 people including researchers, government officers and NPO staff member participating the meeting. 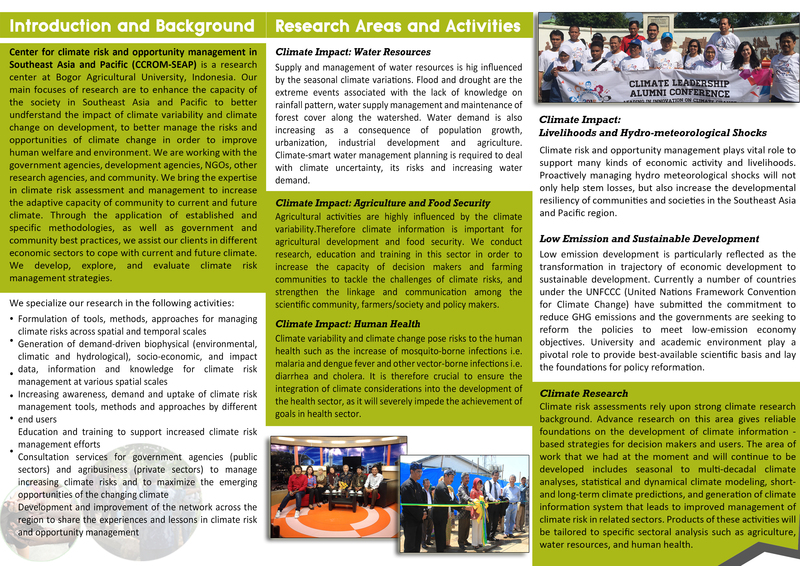 Participants shared the knowledge about policies or environmental investments in Asian countries/cities, and also could promote the dialogue among the various stakeholders including researchers, policy makers, public sector and international organizations. In addition to technical support for the meeting, CCROM representatives also presented some of findings from on going projects. Dr. M. Ardiansyah shared some information on social monitoring system in Bogor and its role in building a low carbon city. 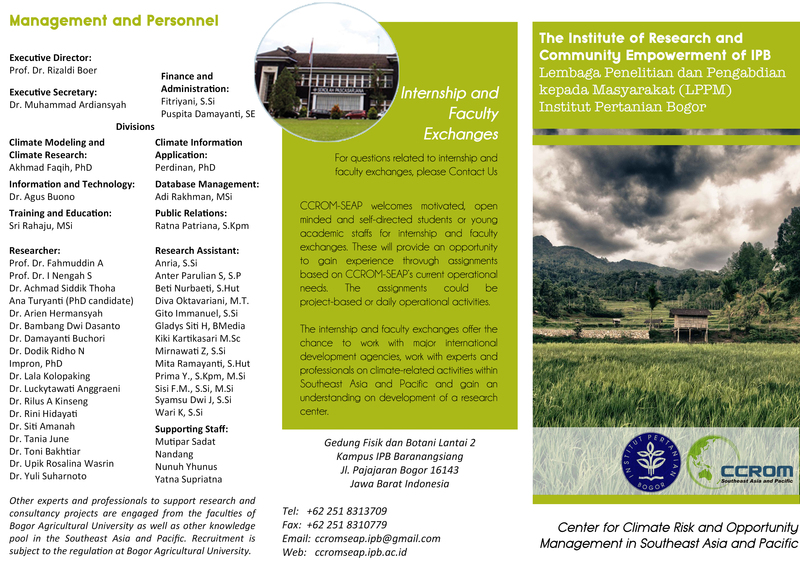 Other presentation from CCROM is delivered by Ms. Kiki Kartikasari (CCROM IPB) mainly findings from the project Assessing linkages between climate change adaptation, disaster risk reduction, and loss and damage funded by Asia Pacific Network for Global Change Research (APN) and collaborative conducted by CCROM and OML Center Philippines.